finally found all the eggs, was tough. Looking for a Psduck, would anyone have a extra? any want to buy a resolute stone? When it comes to completing the Kanto Dex. Is the megas needed as well? Is There a way to know If you got a Legendary Bird or Ditto from the lab before it hatches? Dropping 200K Into Normal Gems, Who is selling? 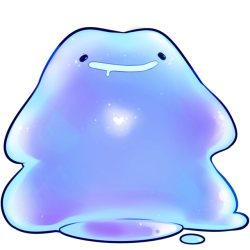 So...There is No way to get a Shiny Ditto? G I F T ?